Water samples and testing is now a requirement for VA and FHA loans! Trust The Sterling Inspection Group to get this taken care of for you and fulfill the requirement. This warranty covers repairs to items the Home Inspector has found to be in good working condition at the time of inspection. 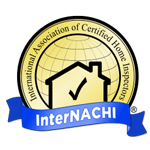 We are committed to raising the standards of your home inspection. That's why we offer FREE RecallCheks for your home appliances. For a period of 90 Days following the inspection, RWS will cover the cost to treat for new termite and carpenter ant infestations. We work in Puyallup, Tacoma, Edgewood, & surrounding towns! Are you planning to buy a home in the state of Washington? Are you purchasing a commercial or investment property? Call The Sterling Inspection Group, Inc. today. The Sterling Inspection Group believes that a TEAM can offer more. Our inspectors work in teams on and off site to provide a fast inspection and report for each of our clients. Commercial buildings, apartment communities, and large homes just got easier with the Sterling TEAM. Our inspector teams give you a "snapshot-in-time" inspection: a description of the condition of the home at the time of the inspection. If you have been in the Puget Sound long, however, you know why we have beautiful, green surroundings. We get a lot of rain! And rain is just one factor that can play into changes that may occur following your home inspection, to closing, to move-in. Our Warranties and Benefits provide a way to cover some of those gaps! Whether you purchase a condo in Seattle, a townhome in Puyallup, or Edgewood, your first home in Tacoma, or a large property in Olympia, we've got you covered! Love where you live by adding a layer of protection for your family. Founded in Puyallup, Washington, recently moving to Edgewood, our Sterling Team LOVES making the home buying experience one to remember! Our mission is to provide every home buyer with the necessary tools to prepare for homeownership, the education to maintain that home, and peace of mind. From Everett to Olympia, The Sterling Inspection Group, Inc., strives to serve the communities in the Puget Sound with excellence...one home at a time. You deserve to LOVE WHERE YOU LIVE.